Team17 and Pathea Games have announced that My Time at Portia will release on Nintendo Switch next month, with a pre-order bonus coming in the Housewarming Gift Set. This bonus will contain the jacket and ripped jeans outfit, Lion with Wings Statue and Cuckoo Station Clock as exclusive items, the Rainbow Jelly and Dried Beef consumable items, and 500 Gols to spend in-game as you wish. The sandbox simulation RPG began life as a Kickstarter-backed project and has art direction that takes inspiration from Studio Ghibli’s Castle in the Sky and Nausicaä of the Valley of the Wind. 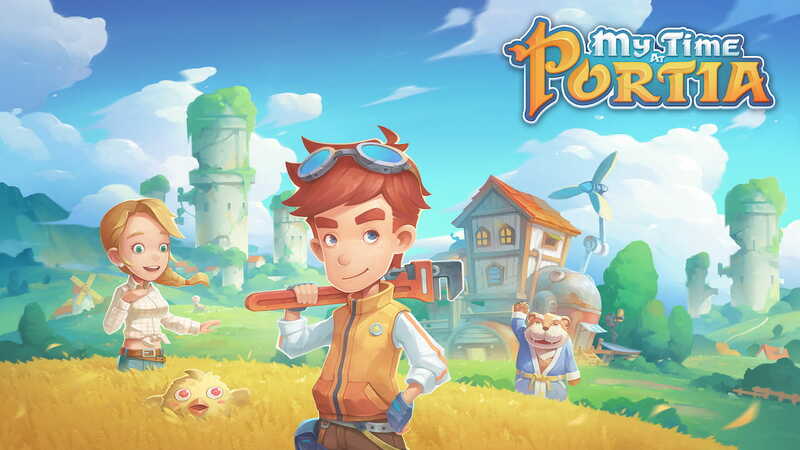 My Time at Portia will release at retail and on the Nintendo eShop for Nintendo Switch worldwide on April 16th and is now available to pre-order.